Creating regular WordPress backups is the best thing you can do for your website security. Backups give you peace of mind and can save you in catastrophic situations such as when your site gets hacked or you accidentally lock yourself out. There are several free and paid WordPress backup plugins and most of them are fairly easy to use. In this article, we will share the 7 best backup plugins for WordPress. Important: While many WordPress hosting providers offer limited backup services, we always recommend our users to not rely solely on them. At the end of the day, it is your responsibility to keep regular backups of your website. If you are not already backing up your WordPress website, then you should pick one of these 7 best WordPress backup plugins and start using it right away. UpdraftPlus is the most popular free WordPress backup plugin available on the internet. It is used by more than 2 million websites. UpdraftPlus allows you to create a complete backup of your WordPress site and store it on the cloud or download to your computer. The plugin supports scheduled backups as well as on-demand backups. You also have the option to choose which files you want to backup. It can automatically upload your backups to Dropbox, Google Drive, S3, Rackspace, FTP, SFTP, email, and several other cloud storage services (see our step by step guide on how to backup & restore your WordPress site with UpdraftPlus). Besides backing up each WordPress website, UpdraftPlus also allows you to easily restore backups directly from your WordPress admin panel. UpdraftPlus also has a premium version with add-ons to migrate or clone websites, database search and replace, multisite support, and several other features. The premium version also gets you access to priority support. Review: UpdratPlus is the most loved WordPress backup plugin in the market. It has over 2 million active installs and 4.9 out of 5 star rating average. While the free version has a lot of features, we recommend upgrading to UpdraftPlus premium to unlock all powerful backup features. 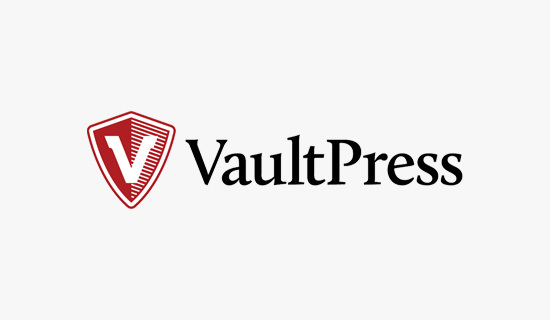 At WPBeginner, we use VaultPress to back up our website. VaultPress was founded by Matt Mullenweg (WordPress co-founder) and his team at Automattic. Although it started as an independent plugin, VaultPress is now a part of Automattic’s another product called JetPack. You will need a JetPack subscription plan to use VaultPress. There are multiple pricing plans with different set of features. We are still using VaultPress because we got grandfathered in at their older pricing which was a lot more favorable. Even at the higher price, VaultPress is completely worth it due to the stellar reputation of Automattic. Review: VaultPress as part of the popular JetPack plugin gives good value for money. If you’re already using JetPack for other features like JetPack CDN for photos, social media promotion, etc, then it’s an easy pick for you. BackupBuddy is one of the most popular premium WordPress backup plugins used by over half a million WordPress sites. It allows you to easily schedule daily, weekly, and monthly backups. With BackupBuddy, you can automatically store your backups in cloud storage services like Dropbox, Amazon S3, Rackspace Cloud, FTP, Stash (their cloud service), and even email it to yourself. If you use their Stash service, then you also have the ability to do real-time backups. The biggest advantage of using BackupBuddy is that it is not a subscription-based service, so there is no monthly fee. You can use the plugin on the number of websites mentioned in your plan. You also get access to premium support forums, regular updates, and 1GB of BackupBuddy Stash storage to store your backups. In addition, their iThemes Sync feature lets you manage up to 10 WordPress site from a single dashboard. You can even use BackupBuddy to duplicate, migrate and restore websites. Review: BackupBuddy is a cost-effective premium WordPress backup solution for you. It has full set of features you’ll need to backup, restore and move a WordPress site. In the nutshell, it’s a powerful UpdraftPlus and VaultPress alternative that you can use. 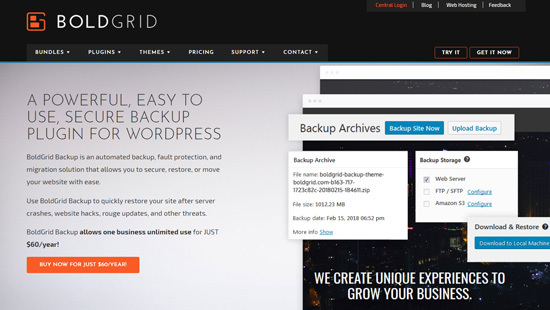 BoldGrid Backup is an automated WordPress backup solution by BoldGrid, which is a website builder powered by WordPress. It allows you to easily create your website backups, restore your site after it crashes, and you can even use it to move your site when switching hosts. You can set up automated backups or manually create backups with one-click. BoldGrid Backup comes with an automated fault protection feature which automatically creates a backup of your site before it updates. If an update fails, it automatically rolls back your WordPress site to the last backup. It’s a great feature which protects you against update errors. With BoldGrid Backup, you can store up to 10 backup archives on your dashboard and more in a remote storage locations like Amazon S3, FTP or SFTP. Review: BoldGrid Backup is a simple WordPress backup plugin that you can use to create your website backups. The advantage of using this plugin is the bundle of other powerful tools you’ll get with the purchase of this plugin. BlogVault is another popular WordPress backup service for WordPress. It’s a Software as a Service (SaaS) solution rather than just a WordPress plugin. It creates offsite backups independently on BlogVault servers, so there will be a zero load on your server. BlogVault creates automatic backup of your website on a daily basis and also allows you to manually create unlimited on-demand backups. It features smart incremental backups that sync only incremental changes for minimal server load. This ensures optimal performance for your site. Besides backups, it helps you to recover your website easily. You can store 90 days backup archive, so you can recover your site from any mishap. It also has a built-in staging site feature to let you test your website easily. Plus, it provides an easy option to migrate your website to another host. BlogVault features seem promising however pricing seems a bit expensive when compared to other plugins above. You’ll need to pay $89 for the basic plan which offers a 1 site license. 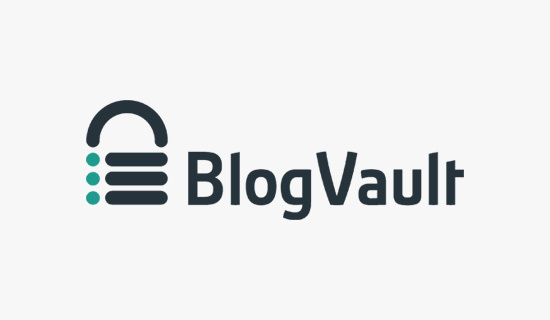 Review: BlogVault is an easy to use WordPress backup solution. It creates offsite backups, so your website server will not be loaded with your backups. The pricing seems a bit high for small businesses. BackWPup is a free plugin that allows you to create complete WordPress backups for free and store it on the cloud (Dropbox, Amazon S3, Rackspace, etc), FTP, email, or on your computer. Review: Used by over 600,000 websites, BackWPup is a great alternative to other backup plugins in the list. The premium version of the plugin adds more powerful features including easy and quick website restoration from the backend with a standalone app. As the name suggests, Duplicator is a popular WordPress plugin used to migrate WordPress sites. However it also has backup features. It does not allow you to create automated scheduled backups which makes it less than ideal primary WordPress backup solution for a regularly maintained site. Review: Duplicator lets you create manual backups of your WordPress site easily. If your web host creates regular backups, you can use this plugin to create backups to use on staging environment. It’s a great site migration plugin. Each WordPress backup plugin in our list has their pros and cons, but all of them offer complete WordPress file backup as well as full database backup features. We use VaultPress for two main reasons. It is extremely easy to use, and it offers real-time incremental backups. What this means is that instead of backing up all of your files every day or every hour, it only creates a backup of what has been updated literally within minutes of the update. This is ideal for a large website like ours because it allows us to use our server resources efficiently. However, if you run a small to medium size website and hate paying monthly fees, then we recommend the popular UpdraftPlus plugin. It comes with all the powerful features like backup encryption, encrypted backup transport, and tons of cloud storage options. Whichever WordPress backup plugin you end up choosing, please do NOT store your backups on the same server as your website. By doing that, you are putting all of your eggs in one basket. If your server’s hardware fails or worst you get hacked, then you don’t have a backup which defeats the purpose of setting up regular backups. This is why we highly recommend storing your backups on a third-party storage service like Dropbox, Amazon S3, Google Drive, etc. That’s all. We hope that this list helped you pick the best WordPress backup plugin for your site. You may also want to see our step by step WordPress security guide for beginners. I’ve been using UpdraftPlus for a while now, and theonly issue I have is that no matter what settings I change, it will NOT delete old backups. Consequently my hosting gets full and I have to go in and manually remove the old backups. I have them set to email me the .zip file, and only keep 1 backup on hand – but UpdraftPlus will not delete them. And unless you buy the ‘Premium’ version, there is no help available – you have to log in to get assistance. No way I’m buying the ‘Premium’ version of a plugin that doesn’t work properly! Then so it happened that on my sait there was a failure, and many files were damaged. I deactivated the dropbox plugin and reinstalled it, unfortunately now it is coming up with the above error. After I decided to pump WordPress Backup Dropbox I try to install the plugin again. The error was removed and I fixed this problem. How do i back Up my site after update wp ….? 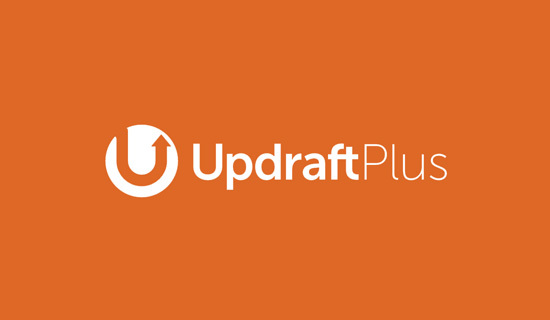 I have been using UpdraftPlus for years and found it a great tool and it’s free. However, I just ran into an issue and needed to restore a database with UpdraftPlus plugin which I recently updated. When I uploaded my backup which was downloaded from an slightly older version of the plugin, I received an error and found out that it was not backward compatible. The error message pointed to a “fix” for this which consisted of about 8 posts with absolutely no explanation or help what so ever. WHAT’S THE POINT OF A BACKUP/RESTORE DATABASE PLUGIN THAT IS NOT BACKWARD COMPATIBLE??? I think it’s safe to say – I’m done with UpdraftPlus. This is highly unusual, but the reason for this isn’t incompatible backup formats (the backup format hasn’t changed). It’s a decision the WP core devs made about support for ancient MySQL versions. You’ll need to update MySQL on the destination site – which the documentation explains. For more help, please enter a question on the forum and we’ll be happy to help. Maybe I’m dense, but the manual way to create site backups, including db backups, is not rocket science. So maybe I expect too much from a plugin designed to simplify the backup process. The sites I manage only require changes a few times each month. Sometimes not even that. So for me, it’s easier to use CODA to backup my site files, and rely on WP Database Backup to handle that. It’s so rare I need to restore a site, that I’d rather know my backups are legit. Today, after reading this article I tried to find BackupBuddy but your links don’t work, and the return results in Google also wouldn’t resolve to a page. So I installed BackWpup on a site to test. It took three tries to get it to work. Your tutorial was somewhat helpful, but there are some changes in the dashboard options I saw. I have no idea what was causing the plugin to just hang for an hour, especially on a very small site . . . but I deactivated it, reactivated it, created the Job Name all over again, and it finally worked. However, I had to reload the page for the progress bars to get to 100%. I went ahead and installed on a larger site and same issues. However, after 4 hours of messing with it, I finally uninstalled it. I lost work time thinking “any minute now” it’s going to work. Maybe it’s because I updated my core WP to 4.5 today, but I don’t think that’s the issue. I did post a comment on their support page earlier today, and haven’t seen a reply. I can now see why you just spend the money on a plugin that works. I guess I’ll have to do the same. Is there a backup program for my WordPress site that lets me do a backup of my site anytime I want? In other words, all the backup programs backup on a preset schedule, but sometimes I want to be able to add a backup manually. Most plugins in the list allow you to start a manual backup at anytime you want. 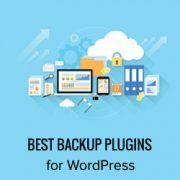 On your recommendations here I tried almost all but finally I ended up with “BackUpWordPress” on my new blog – as this sends you a link to download the backup files. Before, I’m using Updraft plus. But now, I used to subscribed a WordPress Management service. They take care my website for me. They have their own backup system which is indefinitely stored on a cloud service. They also do some task for me, task related to my subscribed website. I’m afraid I’ve had nothing but bad experiences with VaultPress. It has proven to be difficult to set up correctly and the customer service is very, very slow. Additionally, the customer service reps I have dealt with have not been very helpful at all. I do not recommend them at all. Try BlogVault. – Worth every penny. It has saved my bacon several times and easy to use, reliable and quick. Support is fantastic too. This is a good article and many will find it very helpful. However, for 2015 I’m very surprised that number 7 (WP-DB-Backup) made the list as it only backs up the database. With respect to WP-Beginner, the title of the article uses the word “best” not “most popular” and backing up only the database is certainly not the best practice in today’s WordPress environment. Many free backup plugins have the option to backup just the database on a schedule. Heck, most security plugins do as well – and on a schedule. Also, I’ve found that Akeeba Core for WordPress is a great free solution for complete backups as well as restores. BackupBuddy is my preferred choice, but some who are on poor hosting have time out issues with it. Akeeba Core is a good alternative to try as it uses a different technology that seems to have more success with those hosts. All in all a great article. Thank you this extremely helpful! It’s seriously like wordpress for dummies. Thanks! UpdraftPlus is absolutely awesome! and the free version is cover most needed for just backup + upload to cloud storages. I tried it before found this. And I don’t thank they have bad interface. It really simple to use and very easy. Just a few clicks and you go. I really love it! BackWP UP is not worth. It makes great backup. Everything in a Zip, but restoring needs Adminer. It made all the restoration full of hassle. In the end, I did a manual restore, which was a crazy difficult task. Although I did it. The review says BackWPUp is complete – but without the ability to restore backups it’s incomplete! UpdraftPlus has quickly become the world’s most popular backup in the last year because it is complete. BackWPup can even use UDP to restore backups made with their plugin. Same problem. I think it’s important to add a note to this post to show that BackWPUP requires extra software or plug-ins to restore. One reason to use backup is to clone and this won’t do it. You should also take in consideration the WP MyBackup which has many advanced features that other plugins do no provide. Besides that is comes FREE. If you need a more versatile version of it then it has also a PRO version which comes for only few bucks. If you want to migrate a site with UpDraft Plus, you’ll need to spend $30/year for access. It’s for an unlimited number of sites, but the year isn’t just support (60 days) and updates (1 year); it’s also support to install it on any new sites. I tried just backing up with the site as a test before I bought the migration add-on, and it failed miserably after 10% of a tiny site. Sorry to hear you had a negative experience with UpdraftPlus. I’ve searched our support system for your name, and couldn’t find any tickets – please do file one if you have a problem. People have successfully used UpdraftPlus on sites up to 50 gigabytes in size (we’ve not tested beyond that). Just to clarify – if you purchase the Migrator component, then you can download a zip file from your account page to install which you can use whenever you like – for life. It’s only the alternative install method, via connecting to updraftplus.com and downloading the latest add-on from your account, which you only have access to for 1 year; but, you don’t need to use that method. I’ve used several of the above plugins and none come close to UpDraftPlus. The UI is simple and to the point so I can’t see how the UI is cluttered. I’ve been using UpDraftPlus on over 10 sites without a hitch. It’s been flawless on each site. I’ve also had to transfer all 10 sites over to a new host and without this plugin it would have been a nightmare. I didn’t need to use the migrator plugin at all but that may be down to how I installed each site. 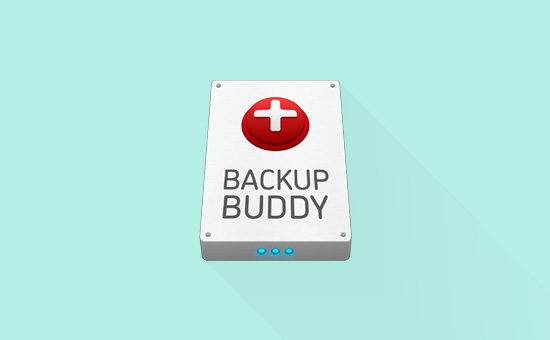 I have used Backup Buddy on several sites for a couple of years. Up until about two months ago, it worked really well. I even used it to migrate all of my sites to a new host using a lot less time than I expected. I’m not sure why, and the tech “support” at iThemes doesn’t know, either. I keep getting the same set of things to try (which I already did after reading their help files, and before submitting my first support ticket). I’m guessing that there is a problem with a firewall plugin that I use, but even disabling all other plugins and renaming the .htaccess file does not get BB to work. For now, I am using the cPanel backup — which works, and fairly quickly — despite the fact that it’s a little less convenient than BB *used* to be. But a backup that actually works is much better than one that doesn’t. I don’t really fault the program itself, but the “support” staff there is truly clueless. I’ve had the same thing happen with other plugins (Backup Buddy, Updraft Plus, etc.) They work good until… they don’t. Today I use a combination of plugin and Cpanel Backup. With Cpanel, I backup the Home Directory first, then the databases. By using a combination of plugin along with Cpanel, I have a “plan B” if something strange happens with one of the plugins. Sure, it takes a few extra minutes to make a Cpanel backup, but it’s worth having the peace of mind. WP-DB-Backup makes it really simple to create database backups, schedule automated backups, and restore your database. Hi, is there a plugin that support both the daily scheduling and the choice of only a particular user posts? It is a completely free plugin. Anyone can take backups on local or remote storage without paying a penny. It supports Dropbox with the help of which anyone can store backup on cloud and restore it on any hosting server. And thus it makes WordPress server migration very easy. With the help of Updraftplus we can restore WordPress database and even files via WordPress dashboard and there is no need to do any work around like in Backupbuddy. Greetings. I just installed and used UpdraftPlus (the free version). I agree with your review except that I did not find the interface at all cluttered. In fact, it is great and simple to use. I linked the backups to do remote backup with two clicks, to use DropBox. I am very pleased and impressed. By the way, if you ask for an email address, it would be good to say something about how/why you are using it, and whether it will be publicly visible or not. In any case, thank you for a good review. Are you sure that the light vaulpress plan includes the incremental backup ? From what I see on their website, it doesn’t. Really? HOW EXACTLY, since BackWPup doesn’t have a Restore Backup function?!? For restoring backups you have to use another plugin and it all but easy! Did you even try this plugin before recommending it? I am using WordPress Backup (https://wordpress.org/plugins/backup-wp/) and it works like a charm. Highly recommended if you are looking for something simple! Updraft, BackupWordPress, Duplicator all fails on large sites. I’ve got about 2.2GB eGallery and they fail due timeouts, no matter what hosting. Manual backup via FileZilla. Perhaps, once I become pro I go for VaultPress. That seems to be only one solution left for large sites. Dedek – more than likely the reason for the timeouts on large sites with those plugins is the host has set the servers up for short PHP run times. Some hosts will adjust their settings if you call and ask and tell them why you need it. I think you’ll find your host setup is the issue. I’ve backed up and restored sites around 6gb without any issues. Backup Buddy is no longer free, unfortunately. The license ends up costing far more than the subscription based service you use unless you have a lot of sites to backup. My favourite choice is UpdraftPlus. Fort a small site with a single-target backup store, the free version does its job just perfectly. And I had an opportunity to test the restore process, too. It is relatively painless, although some basic knowledge of MySQL databases and Linux filesystems is necessary. Many thanks for the recommendations! Just installed BackUpWordPress and it worked like a champ. Some web hosts may have restrictions on installing some plugins. Please contact your web host for more information. I just looked at BackWPup (9/2014) and the message on WordPress is that this backup tool is not allowed. I was using Online Backup for WordPress to take care of my backup needs but after reading this review i’ve decided to give BackWPup try. notifications can be hidden or closed once they are displayed.
. There is no button to close the two notifications that appear on plugins settings page.
. On the settings tab there are too many options.
. Whole sentences of instructions are linked.
. There is a request to purchase addons multiple times on the settings tab. I love BackupBuddy. So quick and reliable. I can’t imagine using anything else for my WP sites. Yes, you should always have your own backup system in place. Many of our users found themselves in situations where their hosting providers backup was corrupt or simply not available. Remember that your hosting provider is not obliged to backup your site. Its better to be safe than sorry. Thanks for including UpdraftPlus in the review. I was really surprised about the comments about the user interface, as this is something we’ve put a lot of effort into simplifying…. and the ease of use is mentioned very frequently in our reviews (and I can’t remember when I last saw a review that said that it was complex) – http://wordpress.org/support/view/plugin-reviews/updraftplus – I’d be really grateful if you could elaborate, because if there’s anything that can be further simplified then I would be grateful. Thanks for these great selections! I have most of these in my list as well; however, I have been using Online Backup for WordPress by Backup Technology on a couple sites. It has worked very well for me. If I ever do go the premium route, I would go for Backup Buddy for sure. Thanks for sharing! i am currently using godaddy as my host and they have a backup system integrated into their CPanel. Are there any advantages these 7 wordpress backup plugins have over godaddy’s backup system? thank you! I have tried the majority of the free backup plugins but have discarded them all for one reason or another. I like the idea of VaultPress but really didn’t want another subscription based service so I finally took the plunge and purchased a licence for BackupBuddy and so far I have been really pleased with how easy it is to use. The hardest part was opening and creating the storage accounts so I could save different backups to different locations. be quite different than my personal experience. After using a number of other backups and finding most of them confusing at some point I switched to Updraft Plus exactly because it was so user friendly. each stage of setting it up. I had a friend with a strange saying: “As the farmer said when he kissed the cow, everyone to his own taste!” Perhaps the same applies here, we all have different tastes and come from different backgrounds, but I find Updraft Plus very easy to use. Check Revisr – a free plugin to deploy and backup your wp site with git (including database). It’s new but looks very promising.